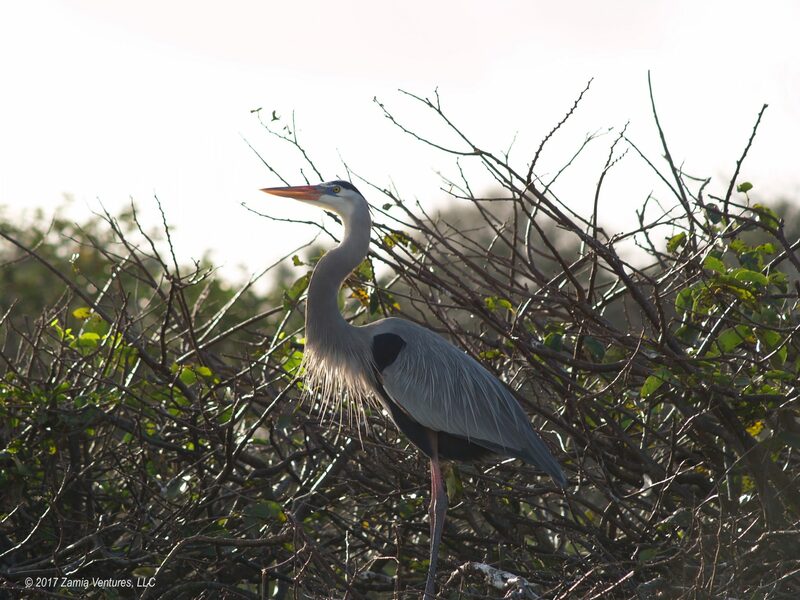 Winter is the time of year when migratory birds make their home in South Florida, and our native birds gear up for mating season. 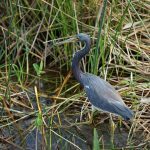 It’s also the time of year when we are least likely to be attacked by mosquitoes, so winter is our preferred time for getting out and seeing South Florida wildlife. 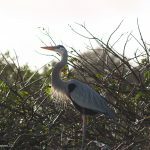 One of the best locations for wildlife viewing is also one of the most unassuming: the grounds of the Palm Beach County Water Utilities Department. 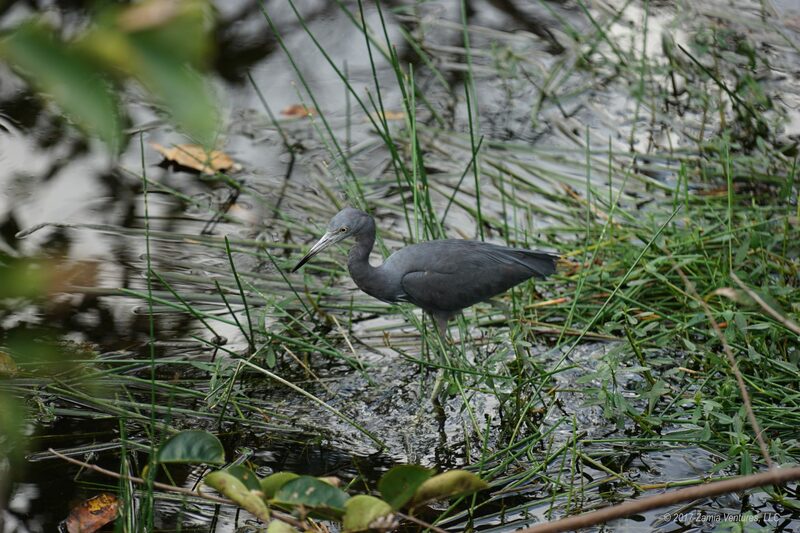 In 1996, the Water Department turned about 56 acres of water treatment ponds located in western Delray Beach into an active habitat christened Wakodahatchee Wetlands, with the name meaning “created waters” in Seminole. 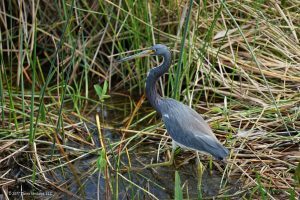 The Water Department created a magnet for all sorts of wildlife, primarily birds — and proved that if you build it, they will come. 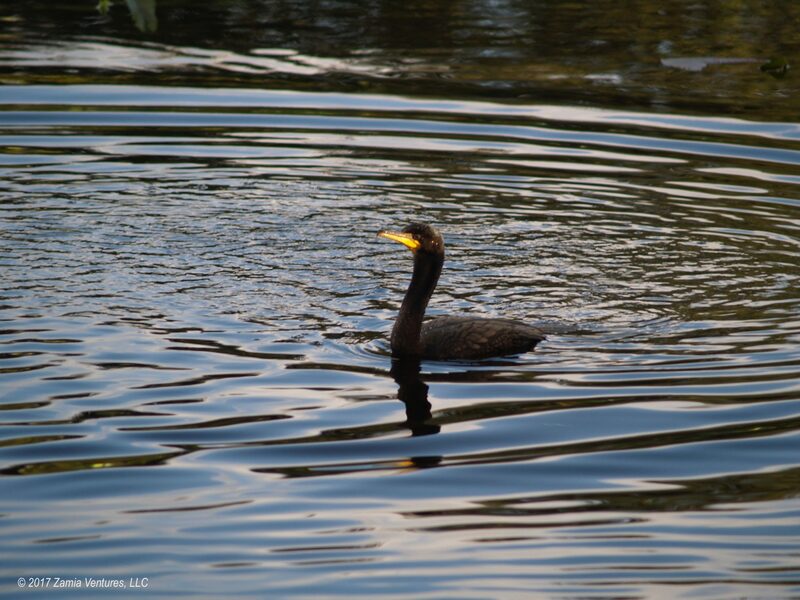 Even with all the critters living and feeding at the facility, it still serves its original function of filtering millions of gallons of treated wastewater every day, making it a true win-win in terms of land use. 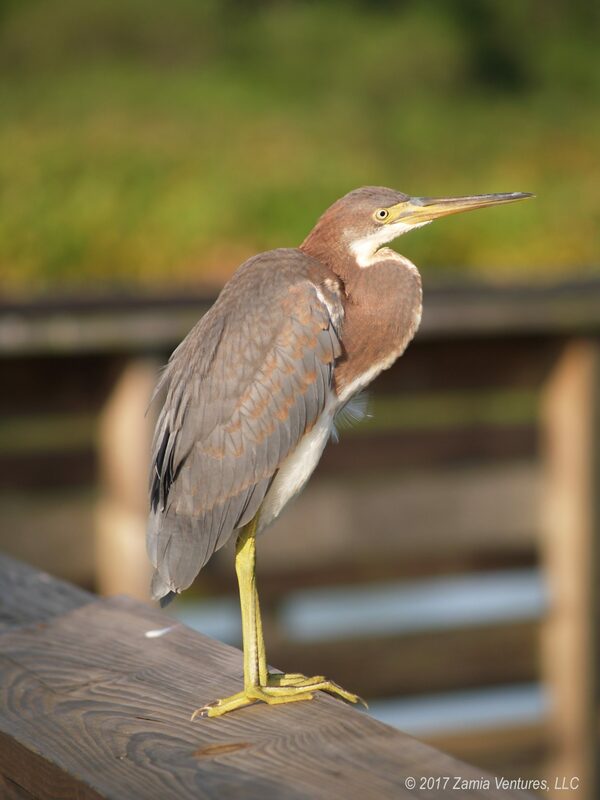 The birds are everywhere, and very close to the boardwalks. 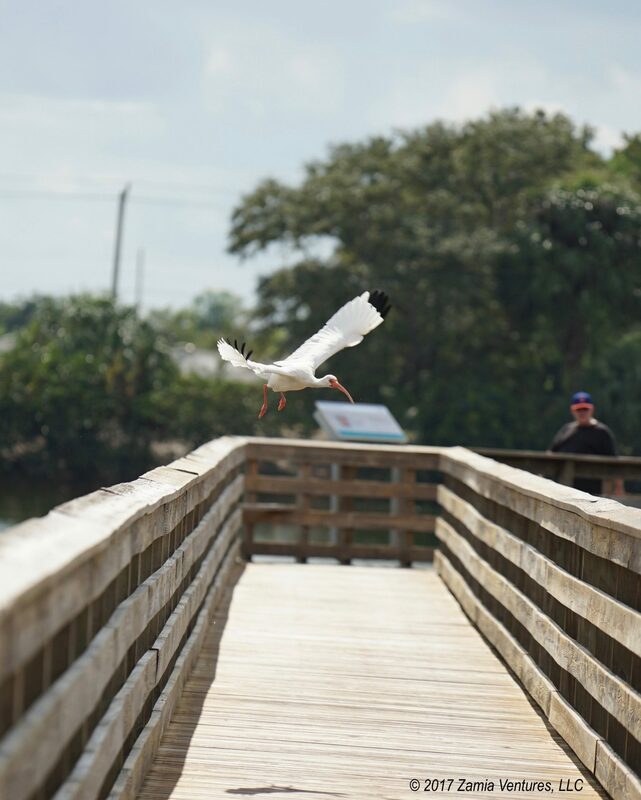 After creating this wildlife mecca, the Water Department then made it human friendly by building a very accessible circular boardwalk / walking trail throughout the property. The boardwalk travels across ponds with several different depths, creating different types of habitat for different animals. 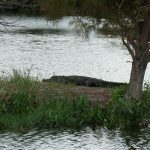 To answer the burning question: yes, there are alligators. But not more than a handful. The real attraction here is the bird population. They are everywhere! And there are so many kinds! 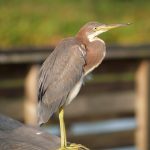 The centerpiece of the boardwalk is close to the entrance, where it gets quite close to several tree-islands that serve as popular rookeries for wading birds and even offers shaded seating for enjoying the view. 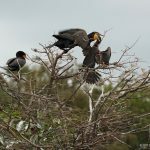 In our prior visits, that island closest to the entrance has always been full of birds, usually a mix of great blue herons and anhingas. 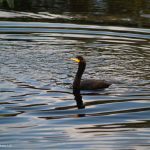 For some reason the cormorants tend to cluster on the islands located in the pond to the north of the main entrance area. 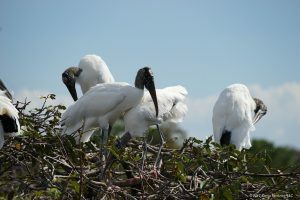 So imagine our surprise when the main island was absolutely packed full of wood storks. Wood storks were an endangered species for decades, until they were reclassified as “threatened” in 2014. Unlike the graceful herons, particularly the snowy egret, wood storks were not hunted to near extinction for their plumage. 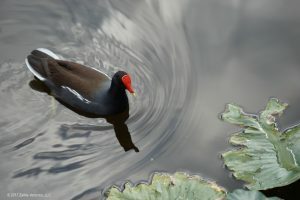 Trust me, no one would want to make hats out these birds — they are not particularly pretty and are incredibly ungainly. Instead, National Park Service information indicates that wood stork populations plummeted because of loss of habitat, specifically changes to water flows that reduced or eliminated their prime hunting areas. 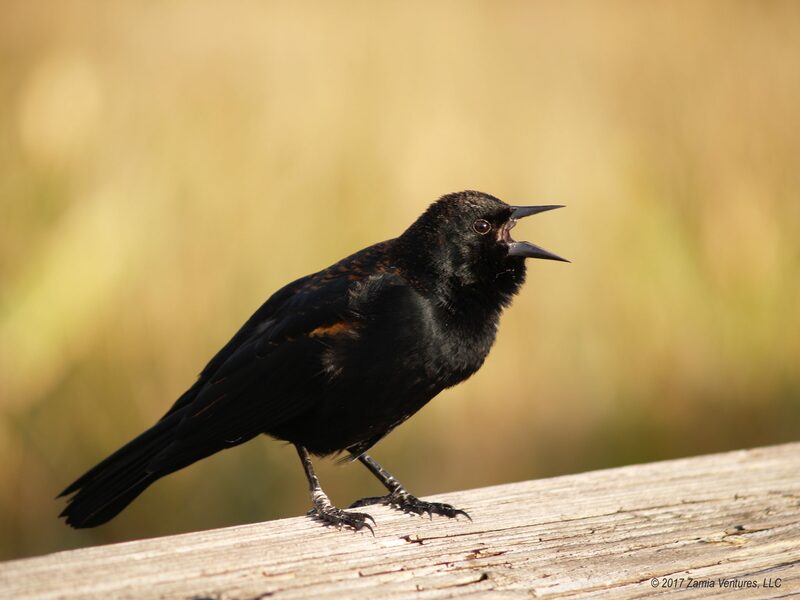 The species has made a comeback thanks to conservation efforts, but they are still relatively uncommon. 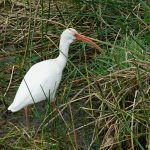 While I’ve encountered quite a few living in south Florida, typically I’ve only seen one or two resident in any given location. 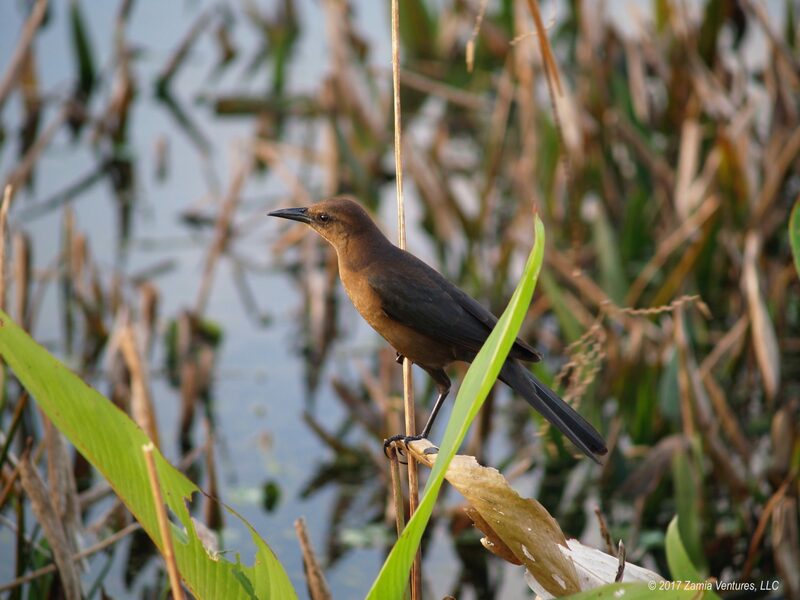 At Wakodahatchee, we saw dozens of the birds clustered in this tiny park — mostly on the same few island rookeries. 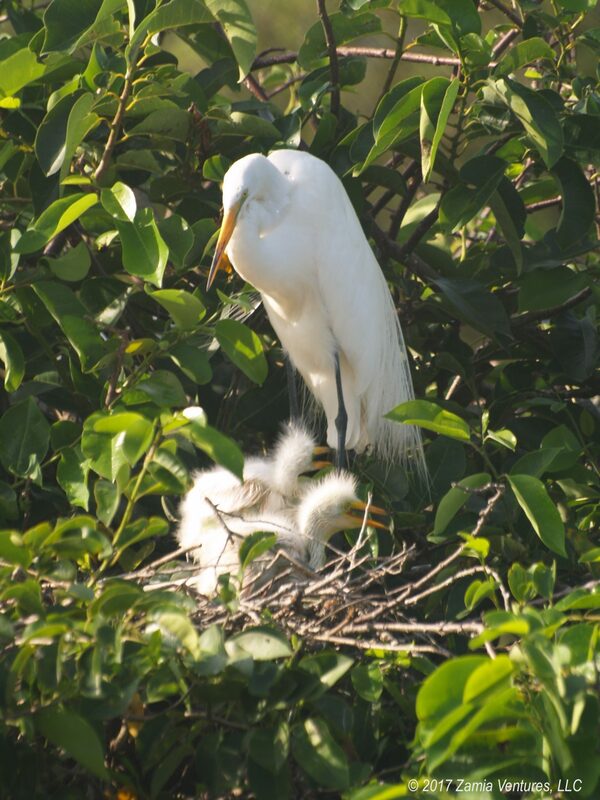 It’s a stork mating ritual in action! 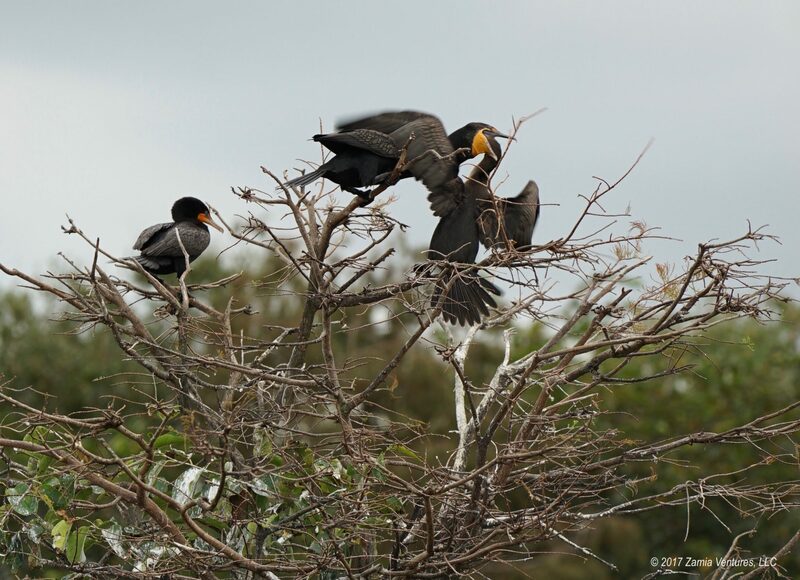 As you can imagine, the feathers were flying as these very large birds jostled for position on spindly branches. 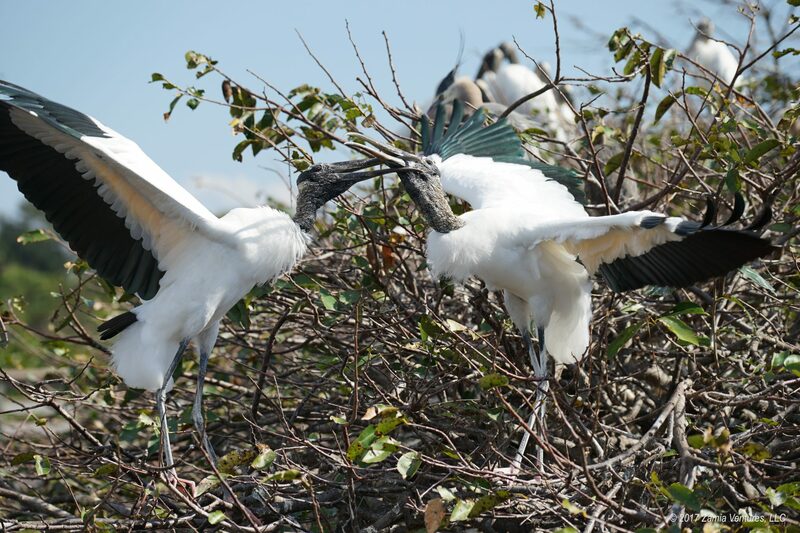 Their purpose for being in such close quarters soon became apparent — it is stork mating season! We were able to witness loud bill-grabbing behavior followed by …. the making of baby storks. 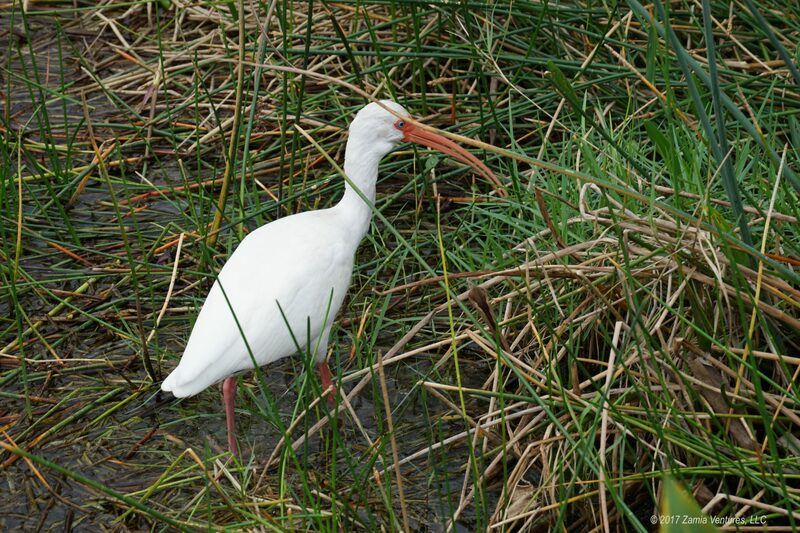 So the obvious question is whether stork babies are also brought by storks? 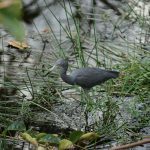 Unfortunately, Wakodahatchee is not immune to the scourge of invasive species that have been taken root in south Florida. 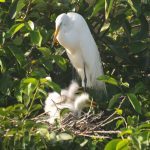 Many areas of south Florida from approximately Boca Raton southward are overrun by wild iguana populations, thanks to unwanted pets being released into the wild and discovering that there’s pretty good living here in Florida. 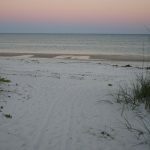 Wakodahatchee definitely hosts several of the unpleasant reptiles, which we have seen on each of our visits. On our January 2017 visit, however, I learned about an entirely new invasive species. 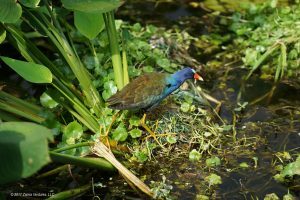 One of the highlights of Wakodahatchee is a sighting of the lovely purple gallinule, which has vibrant blue-green plumage. 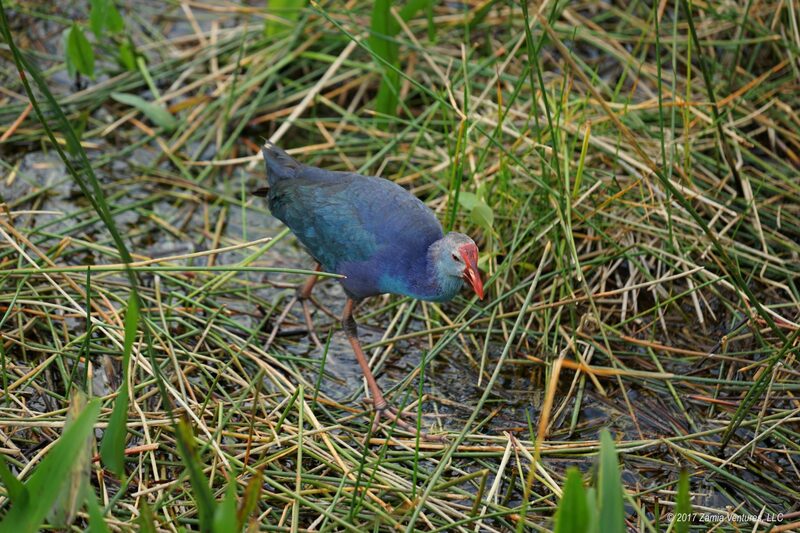 The purple gallinule stalks around in marshes with its enormous feet spread wide for stability. 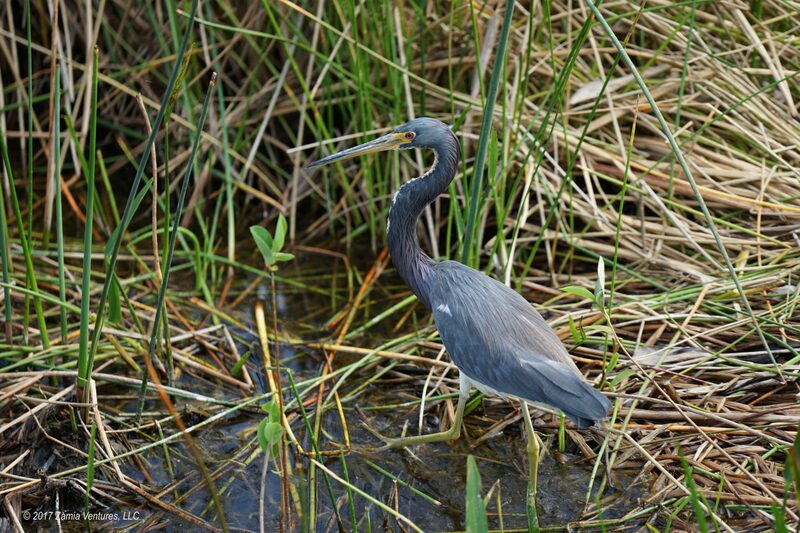 Since they are often searching for food in areas with heavy vegetation, it’s a real treat to spot one in the open. 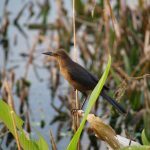 I was delighted to see lots of remarkable blue birds on our recent visit. 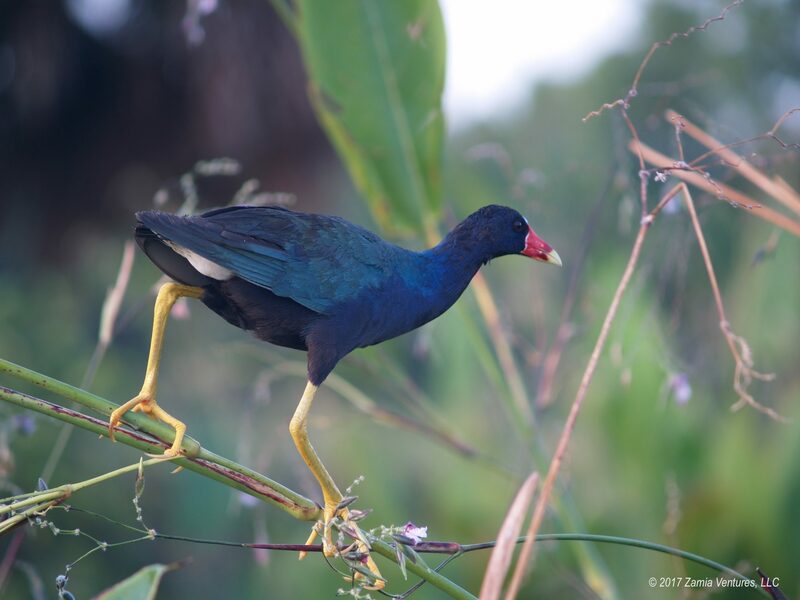 However, a dedicated birder set us straight — these were not actually gallinules, but instead were “swamp hens.” After a little digging I found out (thanks Wikipedia) that these gallinule relatives from south Asia have been released in south Florida and we now have wild populations spreading out to any suitable habitat. The big difference between the invading grey-headed swamphen and the native gallinule is yellow coloring — only the true gallinule has yellow legs and yellow on the beak. 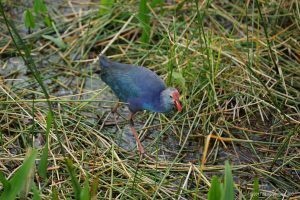 Fortunately we saw at least one true purple gallinule during our visit as well. 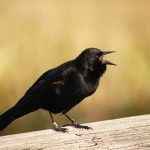 You be the judge: is this at all fair to amateur birdwatchers? 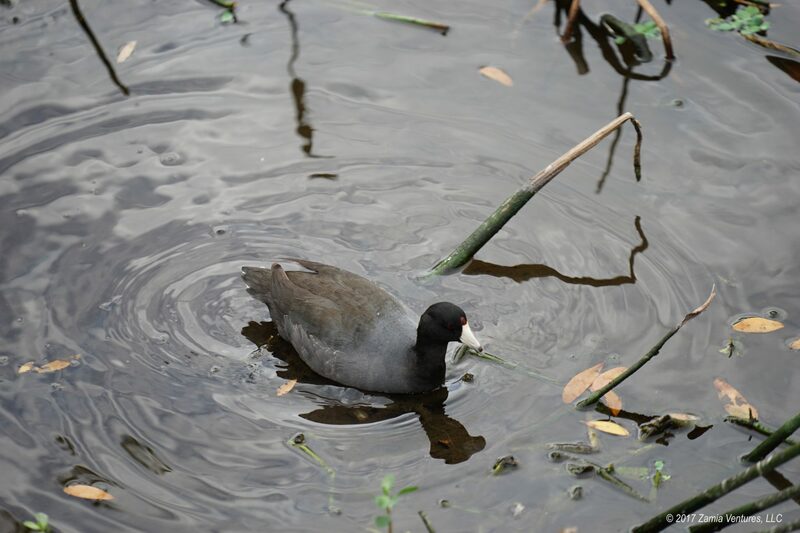 Swamp hen – note the pinkish legs and absence of yellow on the head. The true purple gallinule, with yellow legs and a yellow beak. Interested in visiting? Here’s a map showing the location of the Wakodahatchee Wetlands. 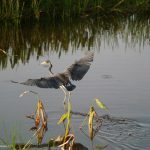 The property seems to be active throughout the year, but you will likely see more birds in winter. 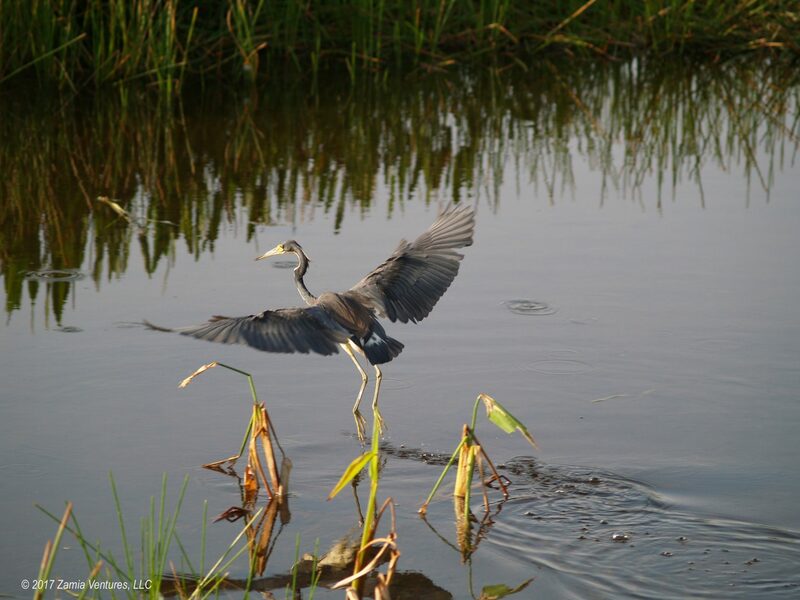 The birds are also active all day. Most important, the facility is totally free and open daily — the only challenge is finding parking, especially during high season! 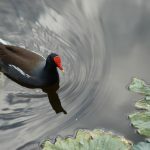 Since I have way too many photos to put in the body of the post, I hope you enjoy a gallery of various photos I’ve taken over the years at Wakodahatchee Wetlands. 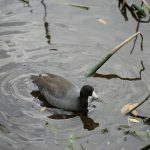 Click on any of the images to page through the gallery.